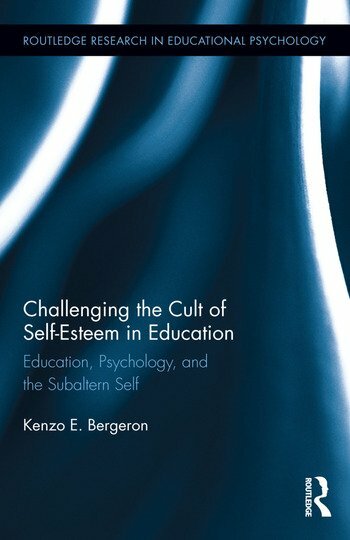 In this book, Bergeron demonstrates the negative emotional and pedagogical repercussions that result from American educators’ embrace of self-esteem and the dogma surrounding its acceptance. Critically interpreting the meaning of self-esteem in education, he challenges "common sense" assumptions surrounding this notion and questions the historical, political, philosophical, and pedagogical forces that have shaped this psychological construct in education. Interrogating the pedagogical practices linked to student empowerment, self-determination, and social agency in the classroom, Bergeron discusses the ways in which the promise of self-esteem has backfired, particularly for marginalized and impoverished students. Kenzo E. Bergeron is a fifth-grade teacher at Willows Community School, California, and former researcher at Loyola Marymount University, USA.